Infallible Techie: How to set scroll bar in Inline VF in page layout in Salesforce? How to set scroll bar in Inline VF in page layout in Salesforce? 1. Go to the VF properties in page layout. 2. Select Show scrollbars check box. 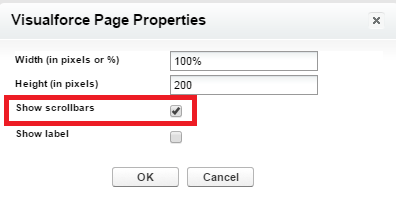 How to get base url in Visualforce? How to enable Drive API in Google?